Three years! Three years were needed after the last European Stick Camp carried by Guillermo Cides and Diego Blanco on the paradisiac island of Mallorca for the AFSTG to take over the torch by organizing the fifth European Stick Camp. It’s with an immense pleasure, a big dose of excitement and a hint of pride that AFSTG has cooked a tempting program designed to leave you with a memory at least as lasting as the memories of the previous Stick Camp editions. 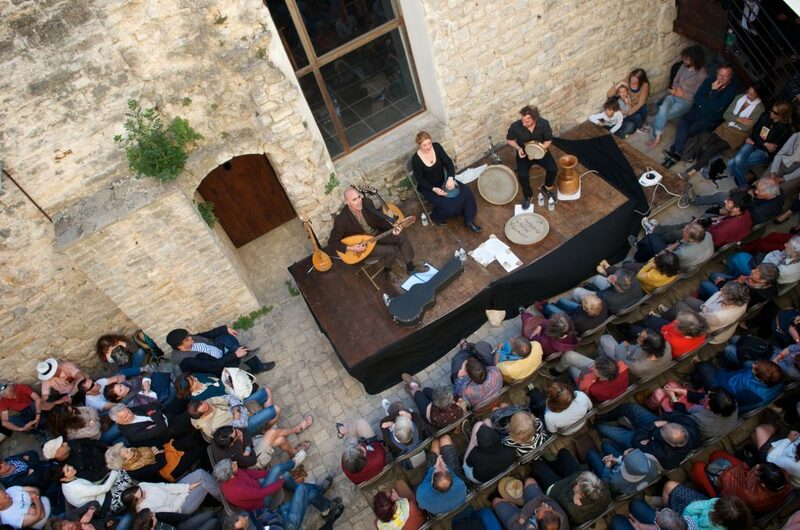 The schedule is quite simple : a week of music, vacations, leisure and cultural activities in the heart of « La Provence Verte » (« Green Provence »), in the village of Correns, its castle of the 12th century and its surroundings! See you from 20 to 26 August 2018!! If you are reading this, it is certainly because you are already a stick player or at least interested by this instrument. For the others who do not know anything yet about this instrument, a short summary is in order! 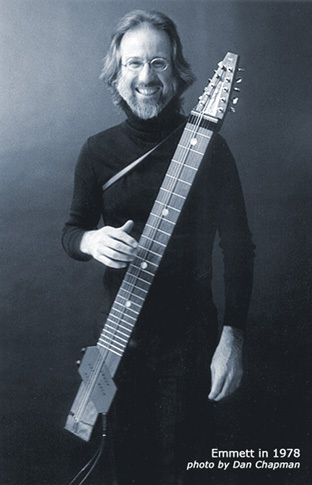 The Chapman Stick© is an American instrument created by Emmett Chapman who, after using the technique of tapping on his guitar, discovered in 1969 a new method of playing, which he named Free Hands. He then created an instrument derived from the guitar to facilitate the use of this new technique and way of playing. After the development of several prototypes, he began to market a first batch of instruments in 1974. 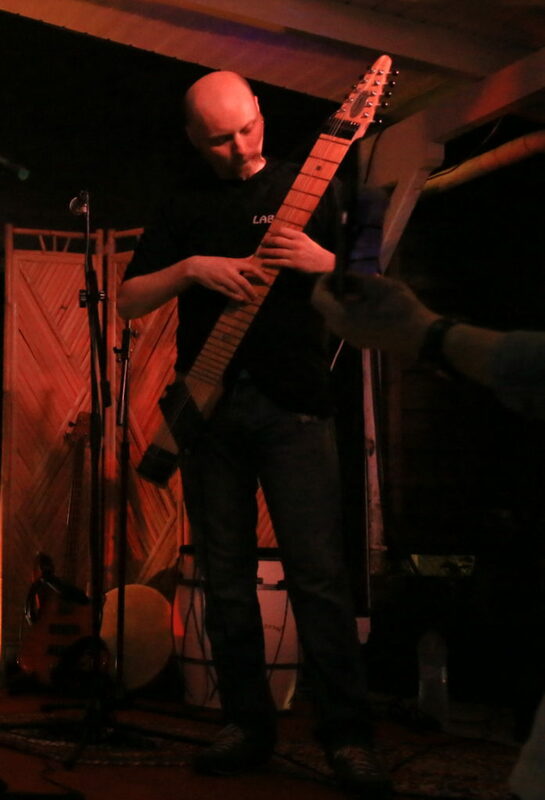 The specific technique used, the range of the instrument, its sound make the Stick a hybrid musical instrument melting guitar, bass, piano and percussion. To find out more, you can download a presentation documentation here (in French). 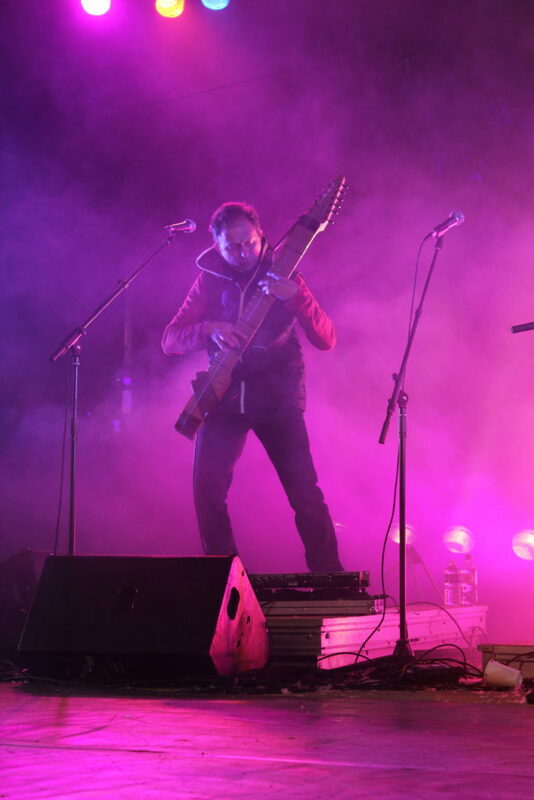 The AFSTG (Association Française du Stick® et de la Tape Guitare) was created in October 1995 by French Stickists Thierry Carpentier and Jo Ruffier des Aimes in order to develop in France the use of a new musical instrument, the Chapman Stick. 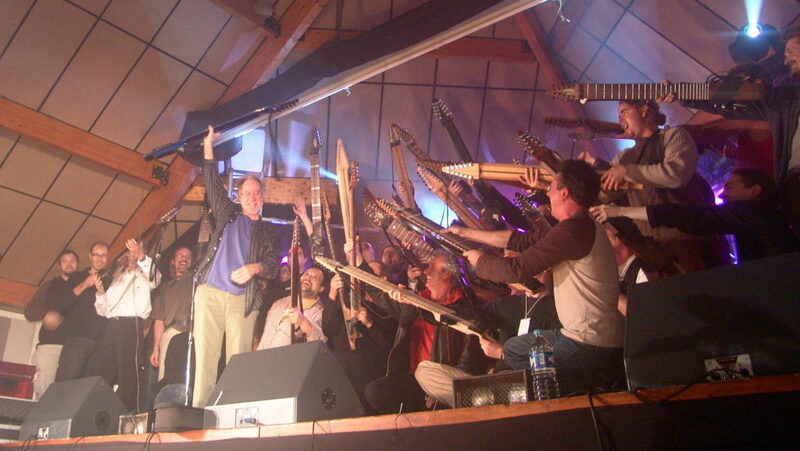 In addition to the organization of masterclasses in a regular basis throughout the country, the AFSTG organizes or participates in a certain number of events, in particular the Montreuil Stick festival (three editions in 1995,1996 and 1998), the Festival de Tape Guitare d’ Allaire (6 editions from 2001 to 2006) or the Folies Tapping festival in Nantes (in 2010, 2012 and 2014). Stick Camp: qu’ es aquo [ke.za.ko]? A Stick Camp can be summed up in two words: music and holidays. 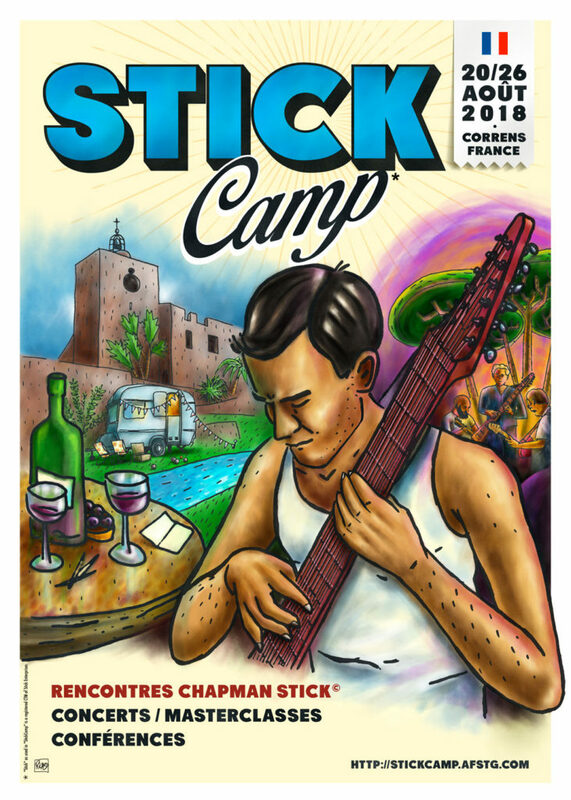 A Stick Camp is above all a unique moment of encounters and exchanges between musicians sharing a common passion : the Chapman Stick. All levels are admitted : from beginner to advanced musicians, there is no technical minimum required to participate, everyone is welcome. Novice players will have the opportunity to learn from more experienced players while the latter will have the opportunity to share their knowledge about the instrument : neither student, or master, only musicians. It is a time of encounters where spontaneity is privileged. 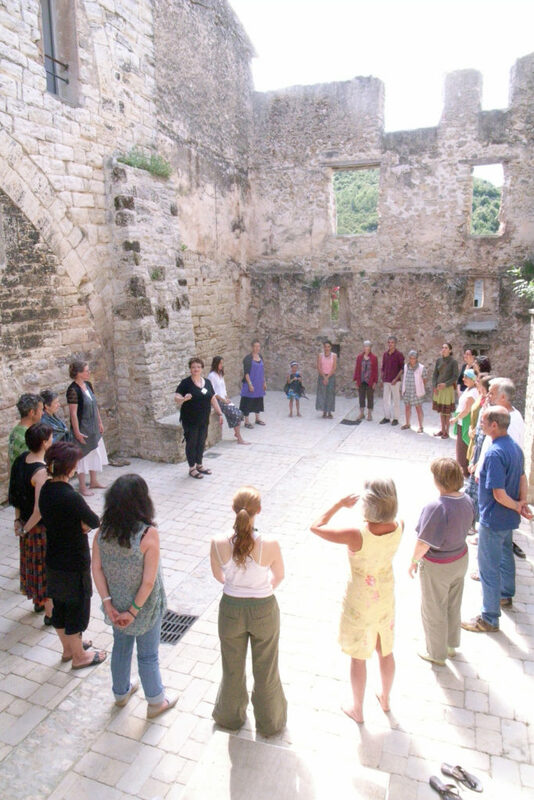 Rather than lectures as in any standard seminar, a great deal of space is left to natural organization of working groups between musicians in multiple spaces provided for this purpose within the premises of the Fort Gibron, around different themes: instrumental technique, accompaniment techniques, styles studies, harmony, methods, repertoire, recording techniques, instrument settings, effects, etc… Some specific workshops and masterclasses will be organized as well to those who wish it, by some of the most experienced stick players present, but also by other local music players. During its existence, the AFSTG organized a major number of educational events. We do know that these moments of encounters with other more experienced players have always represented milestones on the course of everyone’s music. A Stick Camp is also a time focused on playing music. Every evening, a concert will be organized, either within the walls of Fort Gibron itself, or in the village or its surroundings. So all participants will be able to take part in one form or another to the music played everyn night : solos, duets, groups. Everything everyone will have learned the day can be restored in front of an audience on the following nights. A Stick Camp is also an unforgettable holiday experience, and it would be a shame not to take advantage of the natural spaces surrounding the village. Each artist knows it: the environment plays a crucial role in the act of artistic creation. This is why the Stick Camp 2018 will be held in in the heart of Provence Verte, in a green setting, crossed by rivers and surrounded by vineyards. Participants will have the opportunity to participate in activities such as playful and/or sporting activities such as hiking or cycling, tennis, swimming in rivers, all kinds of activities or even just idleness in the parks. Not to mention the famous Provençal petanqye competition! Others things are also being organized for the whole group, but shh, it’s still for the moment a secret even better guarded than the Coca-Cola formula. Olivier CHABASSE has been building an atypical universe for 20 years. As a jazz bass player, he played in the 90’s with a large number of musicians from the current jazz scene (Laurent Cugny, Stéphane Huchard, Louis Winsberg, Daniel Mille, Franck Tortiller, Alain Debiossat with whom he recorded two albums: Dan Mandingue and l’ Or du Temps on the label Bleu Citron). At the same time, he devoted himself very early on to the young audience musical shows with the Mama Kaya company (18 years of existence, 4 albums and more than 1000 performances) and more recently with the duet Les Baladingues. 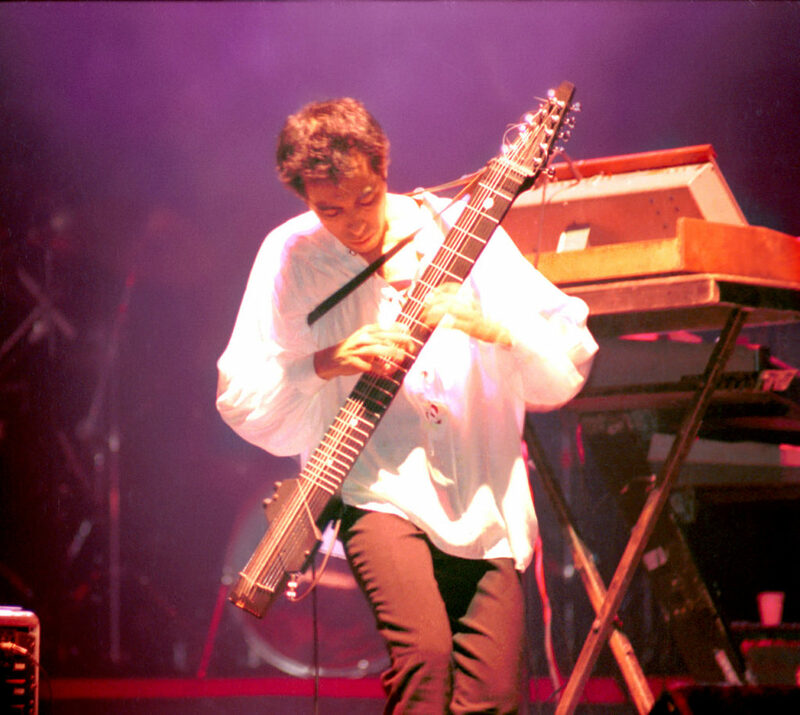 In the early 1990s, Olivier discovered the Chapman Stick. On the strength of all these experiences, he goes up in 2008 a solo jazz show,”Le Taureau par les Cordes”, in which he plays double bass and Stick Chapman, sings and says the lyrics of famous French singer/poet Claude Nougaro. The premiere of this show was presented on 7 December 2009 at the Théâtre L’Européen in Paris. In 2012, it is with the duo “Across The Beatles” that he takes the road back to Liverpool for a stroll. in the universe of the four boys eternally in the wind. Youenn Landreau began his career as a professional musician in the early 80s. 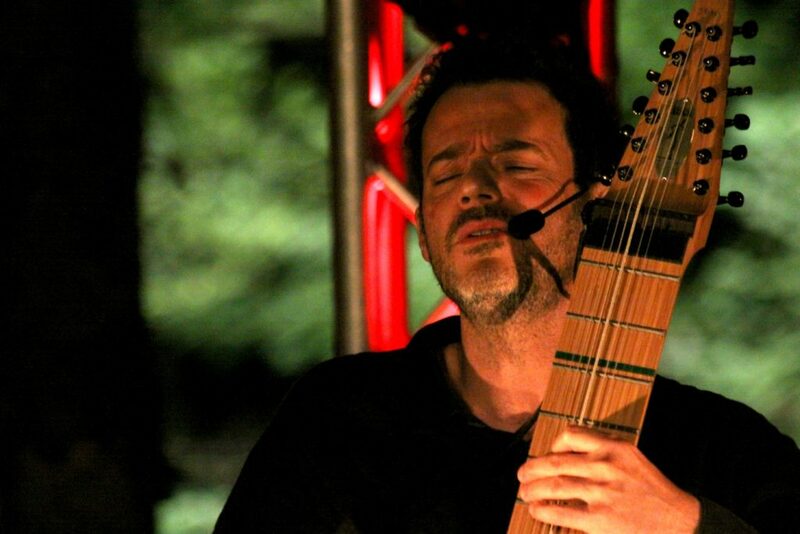 He has devoted himself to the Chapman Stick since 1984, which makes him one of the first veteran french Stick player. He practices various styles ranging from traditional Breton music and Irish music, rock, jazz, song, world music. He regularly participates in artistic creations and recordings of albums, as well as tours in France and abroad, accompanying Alan Stivell, Yannick Jaulin, Alain Pennec, and, more recently, Sébastien Bertrand and Costik.. He plays currently with the duet Les Frères Landreau, with his brother Fanch on violin. 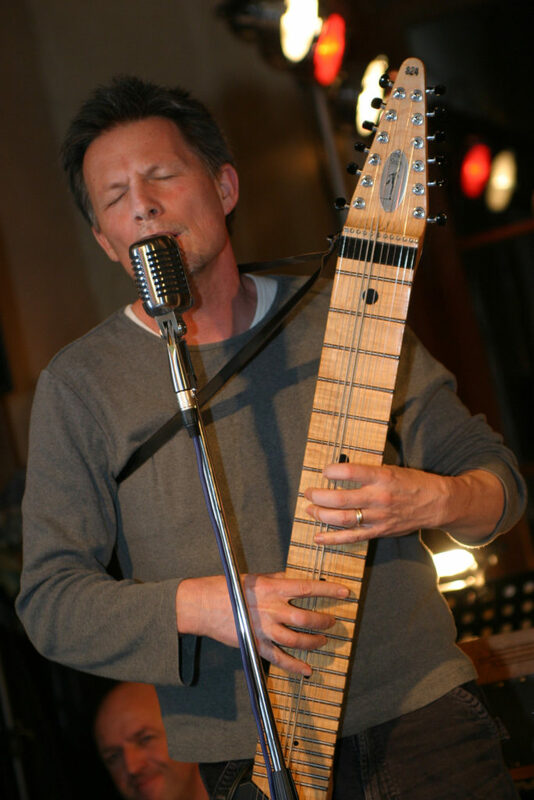 Finally, at the origin of the Folies Tapping festival in Trentemoult-Rezé, in 2010,2012 and 2014, he’s regularly invited to teach the Chapman Stick at European seminars. Former bass player Bruno RICARD discovered the Stick in 1998. 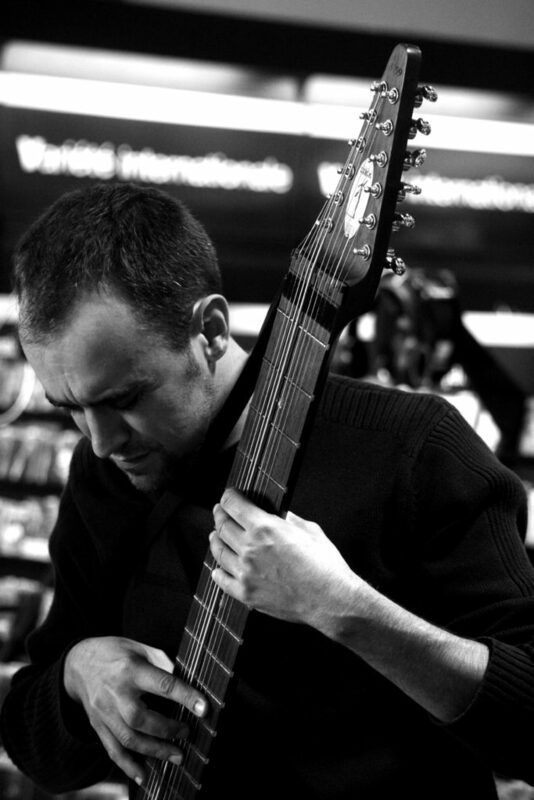 He performs solo or duet in Marseille and its surroundings as part of its dark-jazz project, Ghostlike Ether. He is the president of AFTSG since 2014. Yannick Lepetit start music on Saxophone, then he became Bassist and discovered The Chapman Stick in 1996 in the first Bass Magazine he bought which contained a report (with pics) on Tony Levin and an article by a guy from AFSTG team who present the organization and 7th chord left hand/right hand positions on his Grand Stick (scary when you start on 4 strings!). Few years later, after several magazines and an encounter with a local Stickist (Pascal Gutman), he was convinced this instrument will fit him very well. After being President of AFSTG, he’s now the Treasurer. He participated to all Allaire Tap Guitar Meetings, and he’s also the Treasurer for 4par2 Productions with whom he organized the Folies Tapping festival in Nantes in 2010, 2012 and 2014. Having made his classes in the funk marching band Tarace Boulba (of Stickist Jo Ruffier), he is more an accompanist of rhythmic music (Funk, Reggae, Afrobeat, etc.) particulary in his band Nantesse Boogaloo. Jim Lampi discovered the Stick in the late 1970s. He scoured the San Francisco musical scene at the beginning of the 80s then moved to Europe. He published two records under his name (TV Weather in 191, then Young Lions in 1997) where he explored music mixing jazz, blues, folk and Latin. In 2006, he met with the famous Scottish folk singer John Martyn. He accompanied him on several tours and recorded also the Glasgow Walker album. In 2002, he recorded another album under his name, Greazy and, more recently, he recorded a duet album with bassist Michael Manring in 2008. His virtuosity, sound and pedagogical approach are regularly praised during the numerous Chapmn Stick seminars to which he regularly participates. Guillermo Cides is an Argentine Stick player who currently lives in Barcelona. He began his career as a Stick player in 1992 and published his first two records in 1994 (el Mundo Interior de los Planetas) then 1998 (Primitivo). He toured extensively around the globe, as an headliner or as a first class opening act (Roger Hodgson of Supertramp, Jethro Tull, Fish of Marillion). In 1995, he created a Stick Center in Argentina and in 2002, another Stick Center in Barcelona (Spain). Since then, he has multiplied the number of participations in various projects, but continues to prove his worth as a tourning musician and a great master of the looping techniques. 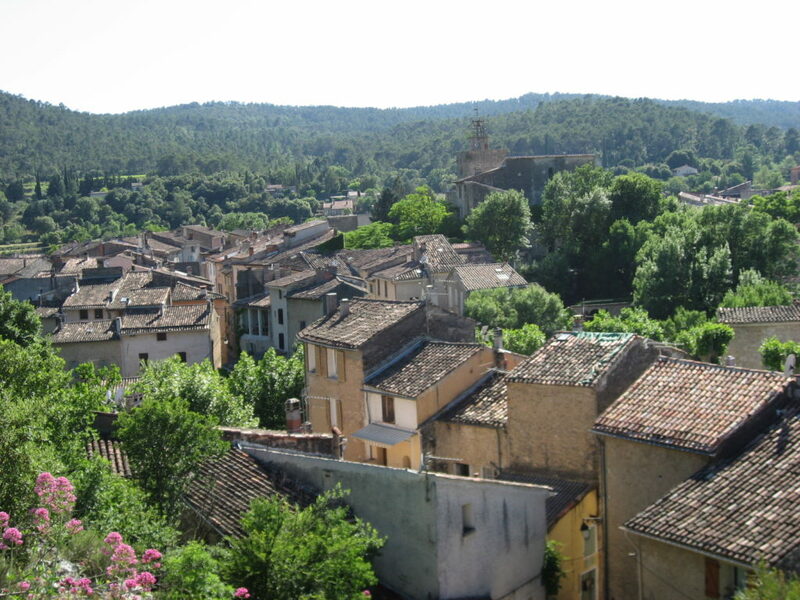 Correns is a small village in Provence with 800 inhabitants. Only ten minutes are required on foot to go from the entry to the exit. It is crossed by the river Argens which ensures greenery and freshness during summer. The village is famous because of being the first organic village in France. 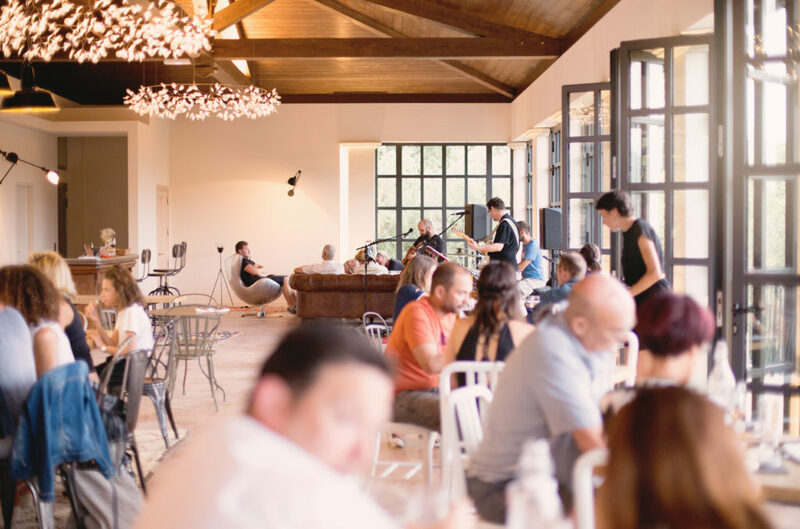 Viticulture is in the spotlight, notably thanks to the Domaine du Domaine de Miraval, known to have been owned by the couple Brad Pitt & Angelina Jolie but also for having housed a famous recording studio in the 80’s where bands such as Pink Floyd, The Cure or AC/DC worked. 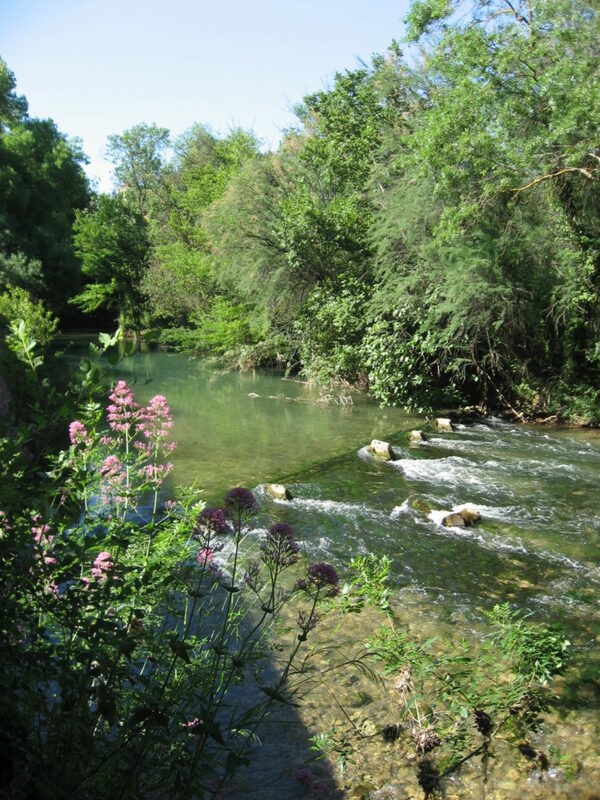 The Vallon Sourn located very close to the village is one of the most beautiful natural sites of La Provence Verte, between its superb steep cliffs famous for climbing and Argens river with its different swimming sites. Fort Gibron is the venue for the musical part of the Stick Camp during the day. Its name is taken from Provençal Gibre (meaning frost, ice). 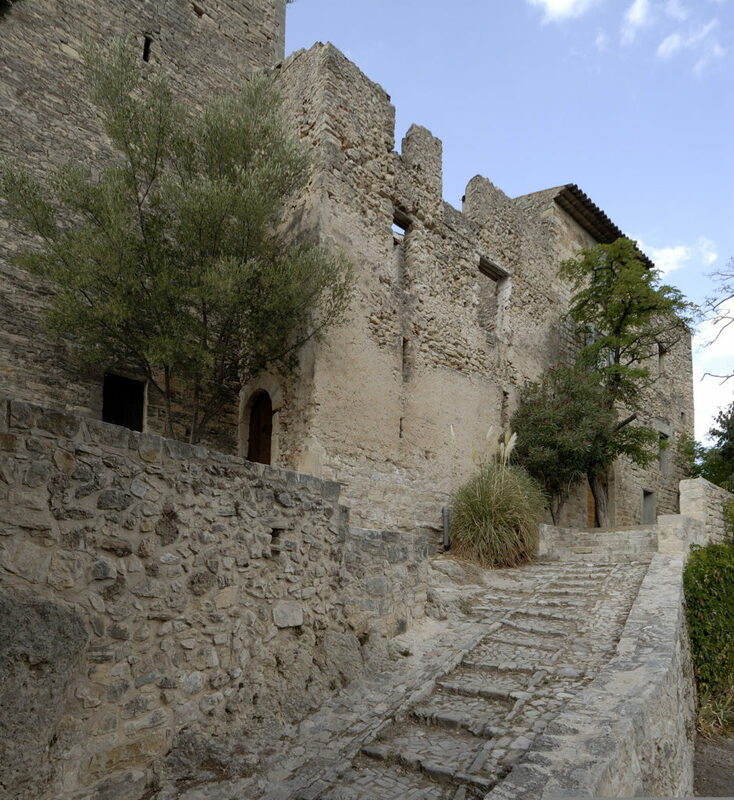 Today rehabilitated as a cultural centre welcoming exhibitions, artist residencies and concerts, Fort Gibron is a former abbey residence of the XIIth century, property of the powerful Abbey of Montmajour, around which the plan of the village were built. Massive construction of Provençal Romanesque art, it was able to withstand armed threats during the medieval period. Restored in 2008, it includes 3 exhibition halls, a courtyard and a large terrace inside, meeting rooms, associations offices rooms and the vestiges of a dungeon. The Chantier is one of the associations that owns its premises in the Fort. It is a place of creation dedicated to folk and world music. Throughout the year, it has provided musicians and composers with a welcoming space and a professional environment in order to support and enhance their artistic approach. 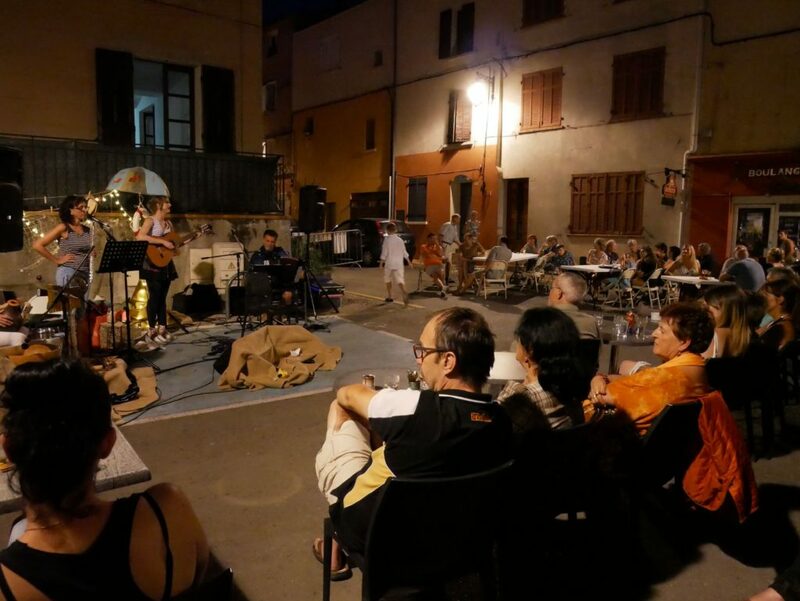 He also organises end of residencies concerts and a festival as well (Les Joutes Musicales de Printemps, possibly translated as « Spring Musical Jousts »). The Stick Camp is able to take place there thanks to the Chantier, which lends part of Fort Gibron’s premises to AFSTG. To ensure maximum comfort, the number of participants in the Stick Camp is limited to 30. Early bookings are highly recommended so to speak!!. – Shuttle bus tickets from Marseille, Nice or Toulon airports to Brignoles. Several formulas are possible but all in very limited quantities. – Tent pitches are also at your disposal, but be careful, the material (tent, mattresses, sheets, etc.) is not normally provided. For those who are travelling by plane and wish to camp, please let us know. In this case, we will ask for the loan of tents and mattresses. These different accommodation solutions are included in the total price of the Stick Camp. For those who wish to make their accommodation even more comfortable, in the heart of the village, there is a typical Provençal hostel in the middle of the village, which offers 4 hotel rooms in double or twin beds with swimming pool, wi-fi, television and air conditioning. Although this hostel is not a partner of the Stick Camp, we will try to negotiate interesting prices and make reservations for ou. However, a financial surplus will be expected. Please contact us quickly if you are interested in this solution. Whichever solution you choose, please let us know which people you would like to share your accomodation with so that we can organize the placements the best way we can. How to talk about a Stick Camp in France without talking about meals? All daily meals are included in the price of the Stick Camp. In the morning, a breakfast will be served, in the purest French tradition : pastries, cereals, breads, jams, honeys, butter, fruit, accompanied by hot beverages (chocolate, coffee, tea) and cold drinks (fruit juices). Cold buffets will be offered at lunchtime. Given the usual heat in the area during this period of the year, the buffet will be mainly composed of various cold and mixed salads, cold soups, sandwiches, deli meats, local cheeses, accompagnied with various breads. wild boar stews, bouillabaisse, couscous, pizzas and pissaladieres (pizzas with onions and anchovies), paëlla, ratatouilles, pistou soup. All meals include wines from local wineries. If you are vegetarian or have a specific diet (e. g. gluten-free), thank you to let us know so that we can plan alternative dishes. The village of Correns has a grocery store, bar and bakery if you want to shop and taste some extras. water, beer and wine on concert nights at Fort Gibron. What to bring to the Stick Camp? – Your Stick! 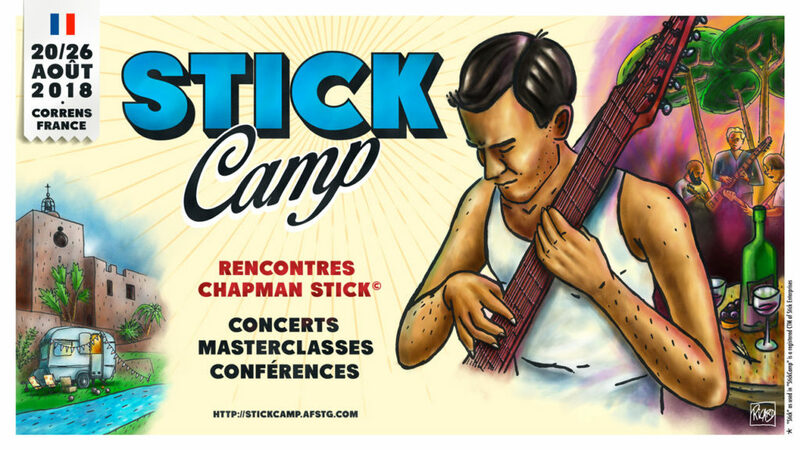 Please note that if you do not have an instrument and would like to discover the Chapman Stick, it will always be possible to participate in the Stick Camp, as some instruments should be available for loan during the week. – The different working rooms will be equipped with sound equipment, PA or amps, but if you want to, you can bring your own amplifier (in this case, it would be appriciated if you can bring a multi plugs (in France, we use 220 volts). – It is highly recommended to bring a stereo-mono cable, in order to free inputs on mixing tables. – If you have some music for sale (cds, vinyls) during evening shows, bring them with you! – For those who still have room in their bag and have kept their childish soul : playing cards, freesbees, balls, various games are welcome, we will look after the petanque contest ! on the seaside area. Correns lies in the contryside and is much quieter. The closest town to Correns is Brignoles. If you make it all the way to this town, we can come there and pick you up by car or minibus to get you to Correns. You arrive in France by plane? There are three international airports in the area : Marseille-Provence (Marseille), Nice-Côte-d’ Azur (Nice) and possibly Toulon-Hyères (Toulon). All offer low-cost international flights. 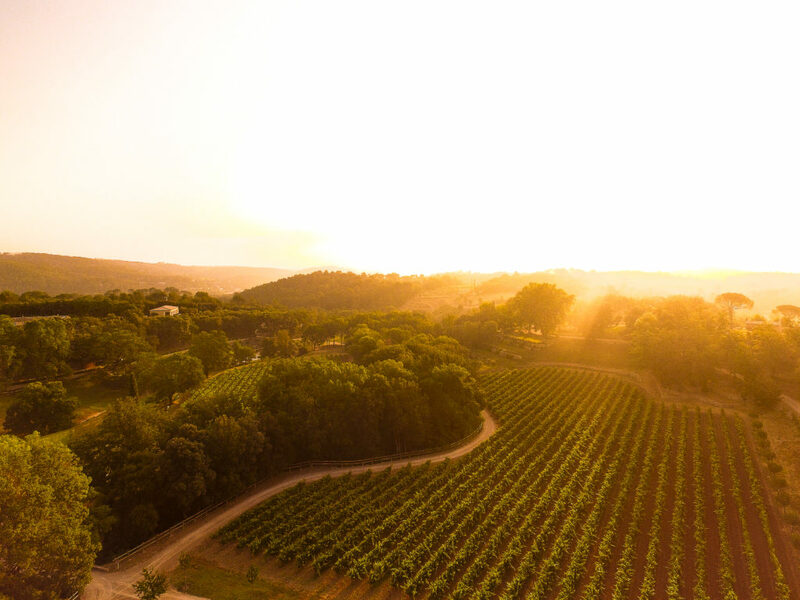 Once you have landed, the goal is to get to Brignoles, the largest city near Correns, which is served by shuttle buses from Marseille and Nice airports, and the city of Toulon. For this purpose, you can use shuttle buses known as Regional Express Lines (LER) connecting these three cities to Brignoles and you can download their timetables below. Once your reservation at the Stick Camp has been taken, it is essential that you give us important informations about your dates, places and times of arrival in the region as soon as possible, so that we can take care of you as efficiently as possible once arrived. If you choose to fly to France, pay attention to the way you check in your musical instruments, we would not want an instrument to arrive damaged… Better take a insurance to secure the transport of it. You arrive in France by car ? Correns is located 180 kms/2 hours driving road from Ventimiglia (Italy) and 400 kms/4 hours driving from Jonquera (Spain). On these two roads, the highway will take you to Brignoles. The travel will approximatively cost (with a passenger car) 33 euros from Vintimille and 65 euros from La Jonquera. Whatever your means of transport and your place of arrival, don’t hesitate to contact us if you need help especially if you arrive before August 20th or if you leave after August 26th. You can also ask any question by using the dedicated topic on the discussion forum of the AFSTG web site, or by using the Stick Camp France Facebook feed. Registration is done online using this form. Once your reservation has been made, we will give you a telephone number for contacting us directly once in France.